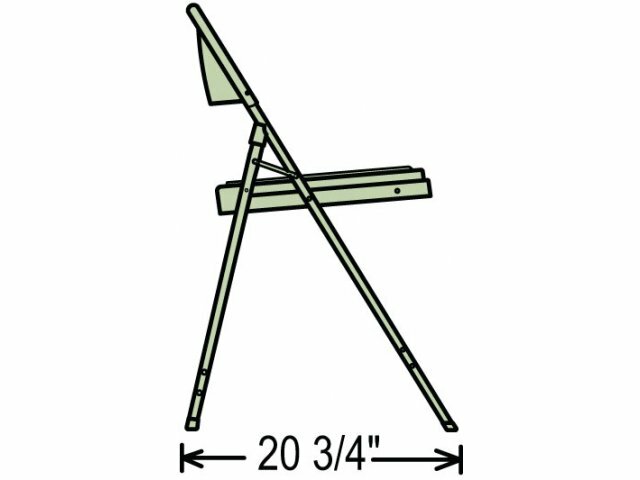 Weighing only 8½ pounds each and designed to stack up to 36 chairs high, this lightweight folding chair makes setting up additional seating convenient. 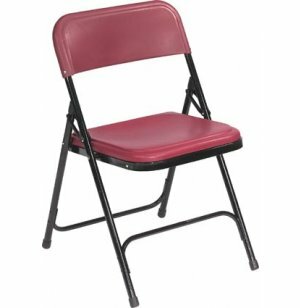 While the frame of this chair is designed with durable, 18-gauge steel, the ergonomic seat and back make sure that you get both comfort and durability in one affordable chair. 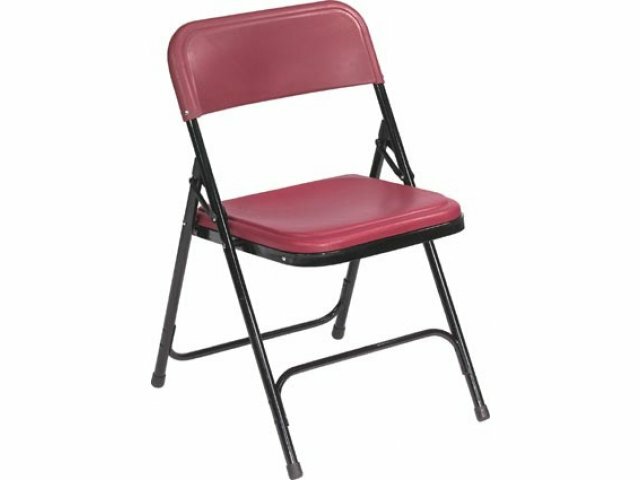 This metal and plastic folding chair is the perfect reception folding chair or graduation folding chair, and serves equally well in a school or church social hall. 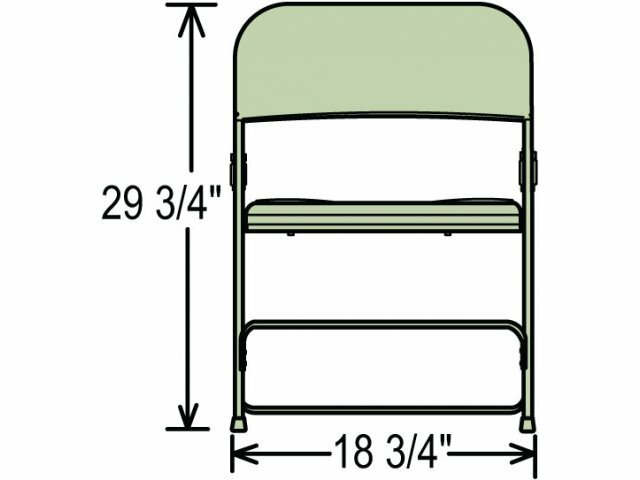 With a weight capacity of 480 pounds, you can feel comfortable that these lightweight folding chairs are built to last. Colorfast: Will not fade with time. Space-Saver: Stacks up to 36 high. 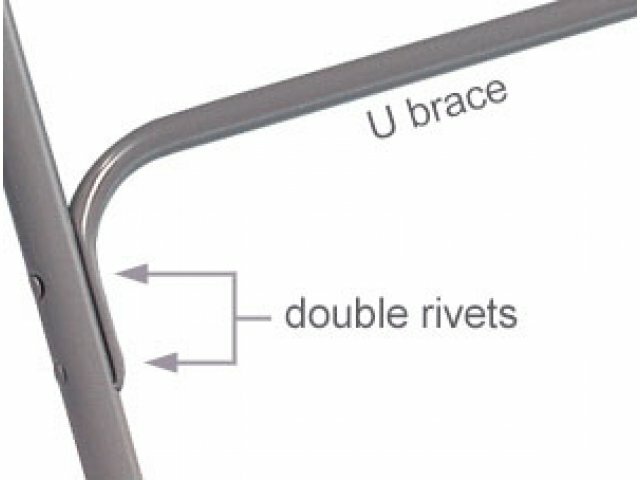 Durable: All connection points are riveted (not screwed) for long life. 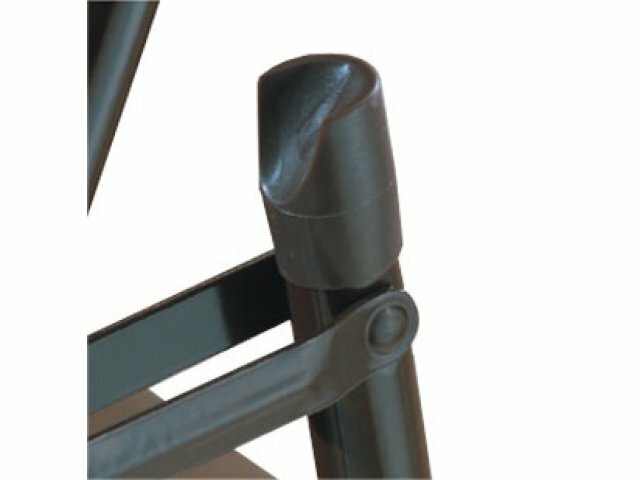 Practical Polypropylene seat and back are easy to clean and maintain. 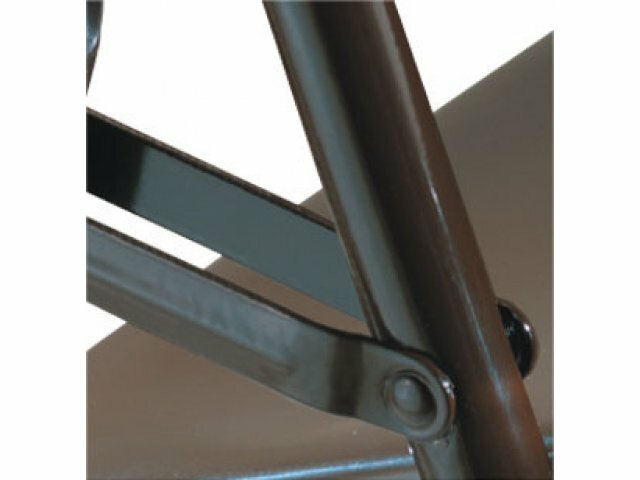 Stable: Double hinges on each leg for added stability. 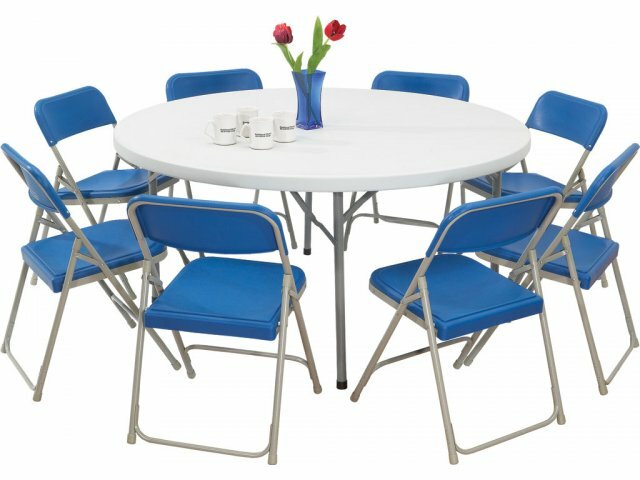 Temperature Resistant: Seat and back don't get very hot or very cold like metal.